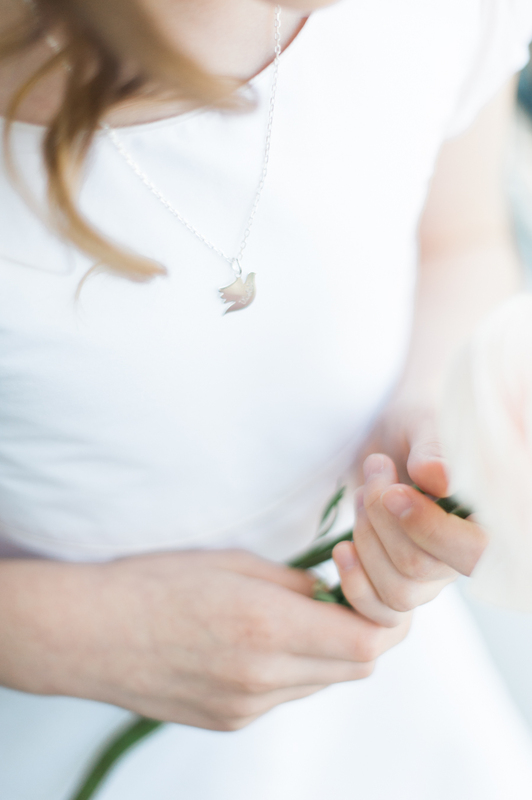 First Holy Communion is such a meaningful occasion for both the child and their family; and a wonderful time to plan for an extra special outfit - something to treasure forever. 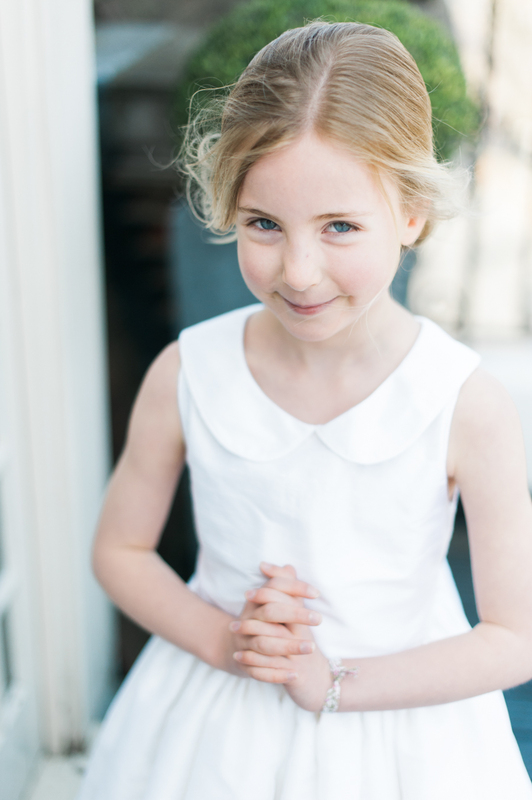 We love to take all the care we can to make each first communion dress. We have a range of styles designed for this particular day, some available to order through our online shop. Mostly we meet mothers and daughters here for an individual appointment at our boutique studio to discuss every detail of their 'dream dress'. We make dresses in white or sometimes ivory - using silk, organza, chantilly lace, satin, corded lace, with delicate trims of bows, crystals, ribbons and silk buttons... any detail that you may fancy! Also, we remember to make a note of when and where your ceremony is... just to be absolutely sure that your dress is truely styled for you, and no other girl will be matching you that day!